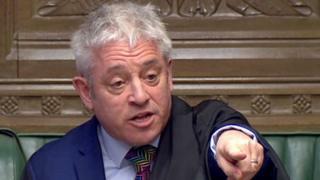 Brexit: Who is John Bercow? What does the Speaker of the House of Commons do? 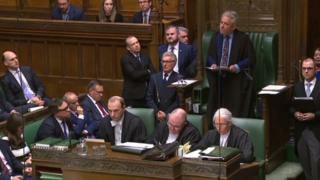 The current Speaker of the House of Commons John Bercow has ruled out a third vote on Prime Minister Theresa May's Brexit deal by members of Parliament (MPs), unless the deal is significantly changed. So far, there have been two votes on Mrs May's deal and MPs have rejected it both times. The government had been considering a third attempt to get it through Parliament before 29 March, which is the date the UK is currently due to leave the EU. But Mr Bercow has now stopped this from happening for the moment. What is a 'no deal Brexit'? What has John Bercow done? To do this, he used a law dating back to 1604, which says that a motion which has been defeated in Parliament could not be brought back in the same form during the same session of Parliament. The government is not happy that he has done this. With just 11 days to go until the UK is due to leave the EU, top members of Parliament have warned that him blocking the vote like this could cause a "crisis". It means it is unlikely there will be another vote on the prime minister's Brexit deal this week and that Brexit could now be significantly delayed, although it will not stop Brexit from happening. EU leaders are expected to discuss a UK request to extend Brexit at a special meeting on Thursday. A lot of people are talking about what Mr Bercow has done, while we wait to see what will happen next. The BBC's political editor Laura Kuenssberg explains: "It has, in the words of one senior official, made things significantly more complicated." Read on to find out more about the Speaker of the House of Commons and how he was able to do this. What is the Speaker of the House of Commons? The Speaker of the House of Commons is one of the biggest jobs in British politics. He or she chairs debates between Members of Parliament (MPs). They keep order and call up MPs to speak. They also represent the House of Commons to the Queen, the House of Lords and other authorities, and have three deputies. The role of the Speaker goes to an MP who is decided in a secret vote of their fellow MPs. They are elected on the first day a new Parliament comes together or after a Speaker has resigned. The Speaker must remain impartial at all times. That means they cannot take sides. When elected, they must resign from their political party and stay separate from political issues - even after they retire. The Speaker has a powerful role in the House of Commons. They can ask an MP to withdraw remarks if they think it's inappropriate and tell MPs to be quiet so opinions can be heard. They can suspend MPs who misbehave and even call off a debating session if things get really out of hand. They can also choose which amendments can be debated in the House of Commons. WATCH: Democracy - how is the UK run? Why is it such a tough job? 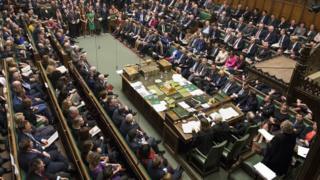 Debates in the House of Commons can get very heated - especially during Prime Minister's Questions (PMQs), which is when the prime minister answers questions from MPs on Wednesdays. MPs will often shout and jeer at each other and call each other names. You can watch the current speaker tell off MPs in this video. With more than 600 MPs to control, it can be hard work keeping things running smoothly. What do Members of Parliament do? Who is the Speaker at the moment? The current Speaker is John Bercow. He was elected on 22 June 2009. He is the 157th Speaker of the House of Commons. He was elected MP for Buckingham in 1997 as a member of the Conservative Party. What is the history of the role of Speaker of the Commons? The Speaker role is more than 600 years old. The first Speaker - Sir Thomas Hungerford - was appointed in 1377, but earlier versions of the role date back to 1258. 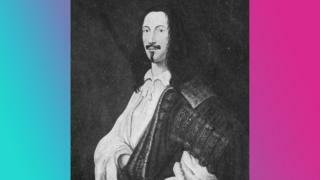 Until the 17th Century, the Speaker was seen as working for the King or Queen. But the Speaker was often blamed if they brought news from Parliament that the monarch did not like. Due to this, seven Speakers were executed between 1394 and 1535!